Oh my God-- did you just read the title of this post? Makes me smirk, lol. I claim no love guru but time and time again, I get this pretty (but not silly) question from my own set of friends or even new friends I meet along the way.To be honest, I had terrible dates in the past. The worst was probably leaving my date sitting in a small corner in one of Greenbelt's many cool places just merely 10- 15 minutes after arriving. The reason: he can't stop using his phone. Duh. I've had guys whom I liked after one or two dates who turned out to not like me at all. But there were also guys who were (a little) crazy about me. So quits lang, hehehe. 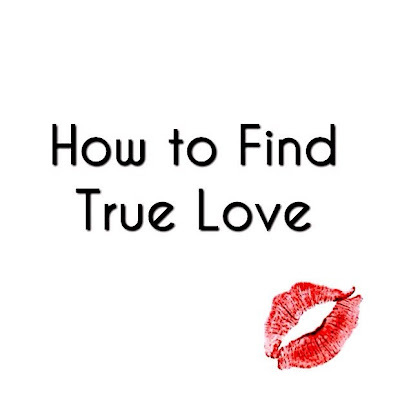 So let me share my thoughts on how to find your one true love to those who are curious. Let me caution you though that these may not apply to everyone, so I'd rather wish you to take a little inspiration on the things I will mention here rather than solely relying on what you will read. Okay now, on to the business! 1. Love yourself first because if you don't, no one will. I grew up thinking no one would ever want to date me... But of course it wasn't true. Back when I was studying, some few guys expressed interest on me and from then on, I knew how awful it would be to hate yourself when some people see something different. Remember too that positive things attract positive energy. If you show some love to yourself, then people eventually will do the same. In my opinion, this one is the worst things you can ever do to yourself. Everyone is different so expect that someone will eventually be more beautiful, sexier, smarter, richer, and awesome than you. But then again, you don't have to beat everyone else in being awesome because you need not please everyone as well. Someone along the way will come to appreciate your imperfection, silly(ness) and craziness rolled into one. Okay so now you think you are "broken" after some stupid guy dumped you for another girl or he was just simply not that into you. Yeah I get it, you think all men are pigs. But ladies, When you meet someone new, leave any negative feelings or past heartbreaks just where they should be—in the past. Yes please do even if there would be days that you'll regret spending half of the day preparing for a date which eventually turned out to be just a total waste of time. Go out, leave your house, go to a party, enroll in a class, even telling your friends you are seriously looking for a date does not hurt. All you need is a chance to meet someone. And yes girl, you deserve it. When I was younger, I probably would want to date a cutie or a hottie but when you are aging gracefully and expected to be mature than most sixteen year-olds, you must realize that giving guys a chance to get to know you brings you closer in finding the one. I look at dating like going to the gym. There would be days it would be easy as 1-2-3 which means you'll have fun as much as you need. But to get the best results, you need to buy time. The same rule applies to dating. 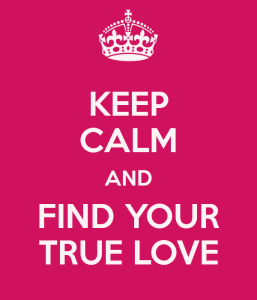 No need to rush, enjoy the dating part ; wait till you both decide to take it to another level. If you think something isn't right, then it probably it isn't. Don't be blinded by broken promises. Some people met their husbands or longtime boyfriends a little later in their lives. So never give up. Maybe, just maybe like you, he's just taking his time. Don't date when you are depressed or hoping someone will cure your broken heart. My personal rule is this: Cure before you endure. 10. And if everything else fails, go back to rule#1 and see the difference.